Festivals in 2019 every month – for when you win the lottery. On January 29th in Lerwick, the capital of Scotland’s Shetland Islands, a fire festival named Up Helly Aa will be held to mark the end of the yule season. Up Helly Aa! – that’s Scandinavian imagery, myths, sagas and a huge bonfire which takes place on the last Thursday of January every year to celebrate their Viking heritage. ‘Up’ refers to end of an event; ‘Helly’ is linked to holiday; while ‘Aa’ covers all. Mardi Gras in New Orleans – Mardi Gras 2019 is on Tuesday, March 05, 2019. Mardi Gras always lands on the Tuesday that is 47 days before Easter. It is always the day before Ash Wednesday, which is the start of Lent. Carnival season refers to the weeks leading up to Mardi Gras, and officially begins on January 6 every year. Although Carnival season lasts more than a month, the parties, parades and fun kick into high gear on the Thursday before Mardi Gras. The actual annual dates of Carnival differ and depend on the date Easter falls in that particular year, as Carnival will be 40 days before Easter. Easter is celebrated on the Sunday following the first full moon in Spring. 5. The date of Holi is different every year in India! In most of India, Holi is celebrated at the end of winter, on the day after the full moon in March each year. On the eve of Holi, large bonfires are lit to mark occasion and to burn evil spirits. This is known as Holika Dahan. In 2019, Holi is on March 20 and ends March 21st. Holi, also known as the Festival of Colors, celebrates the end of winter and the beginning of spring. It’s fun, safe, and free. Just remember to BYOD (bring your own dye). The first major music event in the annual festival calendar, Coachella – California’s glossy, glam, palm-tree-peppered answer to Glastonbury – returns. Expect clear skies, designer-hippie ensembles and not a squelch of mud under foot. If you can’t get tickets for this perhaps the next one might interest you. Stay indoors on the 13th of April – if you happen to be in Thailand. Or step out if you love water… and getting wet! For it’s a given that you won’t escape the water pistols, the water balloons and buckets of water as the Thais celebrate Songkran, the Thai New Year. This festival is a celebration founded on international friendship with the 1945 presentation of 100,000 tulip bulbs from Princess Juliana of the Netherlands to Ottawa, Canada’s capital, given in appreciation of the safe haven that members of Holland’s exiled royal family received during World War II in Ottawa and in recognition of the role which Canadian troops played in the liberation of the Netherlands. The Canadian Tulip Festival is also a celebration of the return of spring, with over a million tulips in 50 varieties blooming in public spaces across the National Capital Region. The highest concentration of tulips can be viewed in the flower beds of Commissioners Park, on the banks of Dow’s Lake, where 300,000 flowers bloom. Glastonbury. This five-day bonanza offers dozens of live stages, attracting almost 200,000 people every year. The event hosts the absolute best of the musical world – names like Radiohead, The Smiths, Kanye West and Beyoncé have previously played here. The event also supports upcoming acts and promotes dance, comedy, theatre, cabaret and arts. The name of the four-day music and arts festival is one of the most recognizable in the world. Founded in 2002 on a sprawling farm an hour south of Nashville, Bonnaroo has since become synonymous with positive vibes, eclectic music, 24-hour programming, camping and high fives. Artist line-up revealed in January. The Running of the Bulls is a part of the San Fermin Festival, which runs in Pamplona from July 6 to July 14 in 2019 and every year. Every August, the Edinburgh International Festival transforms one of the world’s most beautiful cities, presenting three exhilarating weeks of the finest creators and performers from the worlds of the arts. Edinburgh’s six major theatres and concert halls, a few smaller venues and often some unconventional ones too, come alive with the best music, theatre, opera and dance from around the globe. The Royal Edinbugh Military Tattoo takes place at the same time. 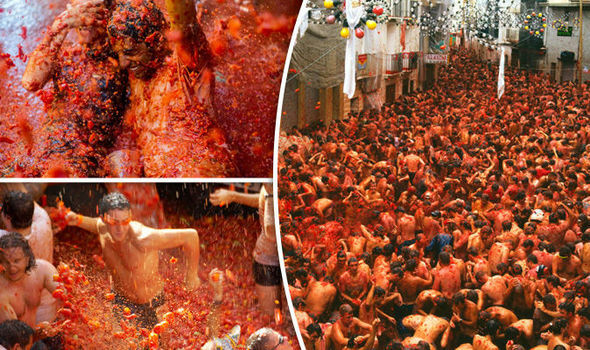 La Tomatina is the most popular tomatoes throwing festival in the world. It is being observed in the town of Bunol, Valencia, Spain each year on the last Wednesday of August. It is a festival held purely for fun. The festival attracts a large number of tourists in the town of Bunol during the celebration. Burning Man 2019 taking place August 25th– September 2nd, 2019 in the Black Rock Desert of Nevada. Their mission: The Burning Man organization will bring experiences to people in grand, awe-inspiring and joyful ways that lift the human spirit, address social problems and inspire a sense of culture, community and personal engagement. This is by no means your average festival! On Saturday, September 21st, 2019 the Schottenhamel tent is the place to be, if you want to catch the official opening ceremonies. At noon, the Mayor of Munich will have the honor of tapping the first keg of Oktoberfest beer. Runs until October 6th. 16. International Balloon Festival – Albuquerque, NM -Saturday, October 5th – 13th, 2019 The Albuquerque International Balloon Fiesta is an annual October festival that takes place in New Mexico. It was first launched in 1972 with just 13 participants. Today, more than 500 balloons take to the skies over Albuquerque each year, making the Balloon Fiesta the largest event of its kind worldwide. 17. 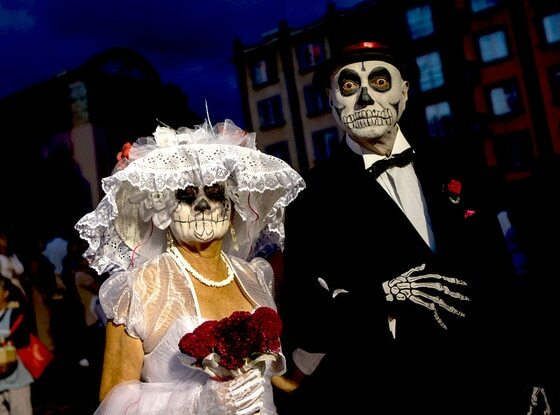 Day of the Dead, Mexico is celebrated from October 31 till November 02, 2019. Day of the Dead (Spanish: Día de Muertos) is a Mexican holiday celebrated throughout Mexico and around the world in other cultures. The holiday focuses on gatherings of family and friends to pray for and remember friends and family members who have died. It is particularly celebrated in Mexico, where it is a national holiday, and all banks are closed. There is an air of festivity that fills the air the end of November and continues till Christmas. Heralding the approach of the festive season, the streets are brightly lit, Christmas trees adorned with tinsel and little red bells and stars line the streets and people are out late doing their Christmas shopping. Concerts are staged, both outdoors and indoors, classical and modern. Street plays performed, musicians show off their talent and generally there is very festive and happy air around. 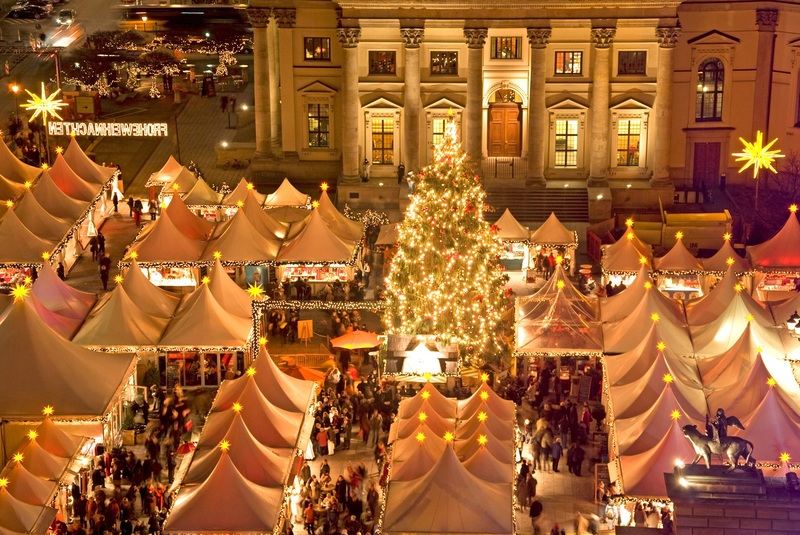 This is when Germany is at its colourful best – white snows, green Christmas trees, red tinkling bells and families out on the streets. Come, join in the festivities!